Back in May, Eyal Hareuveni reviewed the first two releases from newly-formed Cipsela Records. 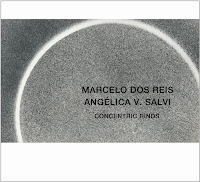 Since then, the Coimbra-based label continues to build on its strong start with two new duo albums: one with cellist Daniel Levin and alto saxophonist Rob Brown, the other, harpist Angélica V. Salvi and label-founder Marcelo dos Reis (whose thoughtful guitar work has been turning heads lately in groups like Fail Better! and on the recent album Chamber 4). Divergent Paths is a performance from a 2012 stop in Portugal, itself rather improvised after plane trouble stranded the duo in Poland on the day they were originally scheduled to play. 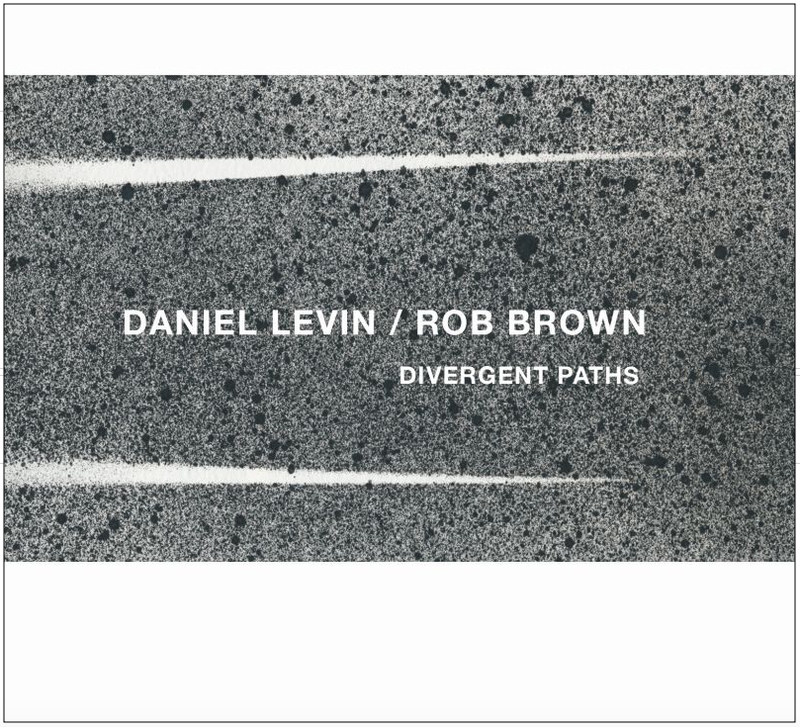 Levin and Brown are both muscular, virtuosic improvisers, each having distilled sharply personal styles from a variety of musical influences. “Mutuality”—true to its name—is a sympathetic exchange between two musicians who are comfortable with each other’s nuances. The track would be a good entry point for someone unfamiliar with free improvisation; there’s a clarity or logic in each player’s response to the other that can be lacking in this music. This is not to suggest Divergent Paths isn’t rigorous or challenging—on the contrary, such lucid musicality under the duress of performance is a testament to the agility of these musical minds. Long centerpiece “Dialogue” in many ways subverts a free jazz trope. The term “dialogue” itself is one of the limits we brush up against when trying to talk about this music: what it describes would be chaotic in literal terms, as though a conversation could remain coherent if all the participants continually spoke over one another. But Levin’s and Brown’s “Dialogue” at times really feels like a conversation. There are extended solo passages from each musician, rather like statements and rebuttals. Brown spends a lot of time in wispy altissimo heights while Levin ranges widely, quoting folky motifs or imitating the saxophone. It’s a varied, modestly-paced repartee, capped by the brief and bracing closer “Match Point.” A strong entry in the Cipsela catalog. Concentric Rinds takes its name from an M.C. Escher engraving, and the music shares in the disciplined beauty of Escher’s work. Dos Reis and Salvi have previously played together in the group Pedra Contida, but the pairing was suggested by Evan Parker after he worked with both musicians during a summer festival. The tracks that begin Concentric Rinds are beautiful, unhurried, imbrued with the fullness of the resonant warehouse in which they were recorded. Dos Reis’s acoustic guitar and Salvi’s harp have similar timbres, intertwining into kaleidoscopic figures in the ambiguous middle ground between the instruments. The harmony and rhythm in “Spirals” has the organized, organic feel of music by composers like Terry Riley or Duane Pitre, with dos Reis preparing his guitar and playing it like a hammered dulcimer. While the duo often opts for a sound of peaceful concordance, there are bouts of more antagonistic interplay, as on “Convex” and “Concave.” Most striking is “Depth.” Beginning with harp that sounds more like tuned percussion than strings, it eventually builds to a wailing threnody of dos Reis’s sorrowful, wordless vocals and coarsely-bowed guitar. Thoughit starts in a more conventional tonal manner than a lot of free improvisation, Concentric Rinds gets increasingly adventurous as it progresses, closing with “Surface,” which has shimmering, friction-induced tones not unlike Eddie Prévost’s work with bowed cymbals. A remark in the liners seems an important reminder: “this is how we sounded one day in February 2013,” dos Reis writes. Not “this is the sound of our duo,” but instead, a nod to the ephemerality of a music that never stops changing. Now, at the time of its release in 2015, they may sound very different, indeed. Excellent reviews. 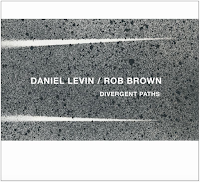 I very much enjoyed the Levin/Brown pairing for the reasons you mention. A beautifully fluid dialogue. Concentric Rinds has already found a semi-permanent position in the old 5-CD changer.